Six nurses within the Comprehensive Cancer Center at Wake Forest Baptist Health are ALL expecting. WINSTON-SALEM, N.C. (WFMY) – It’s not uncommon to be expecting at the same time as other coworkers. 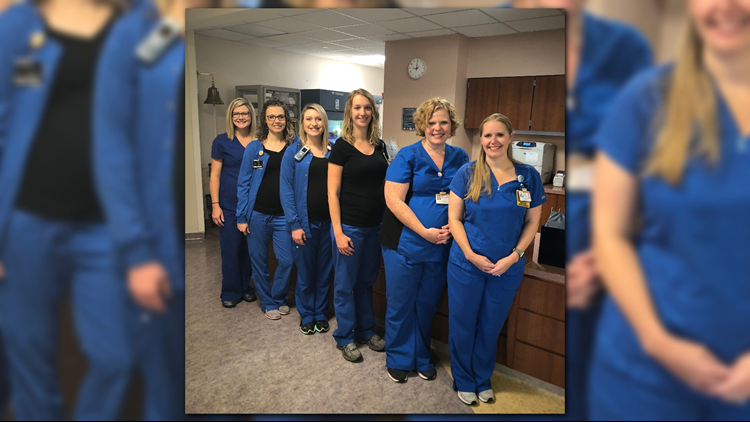 But here’s a twist: Six nurses within the Comprehensive Cancer Center at Wake Forest Baptist Health are ALL expecting! Nina Day, Bethany Stringer, Emily Johnson, Nikki Huth, Sabrina Hudson and Katie Carlton are between 18 and 37 weeks pregnant. Carlton, who is the assistant nurse manager, says, “Being pregnant at the same time with five of my coworkers has been amazing. In chronological order, Day is due July 31, Stringer September 8, Johnson September 25, Huth October 11, Hudson November 13, and Carlton is due December 12. Congratulations to these baby mamas and best of luck in this new chapter of their lives!